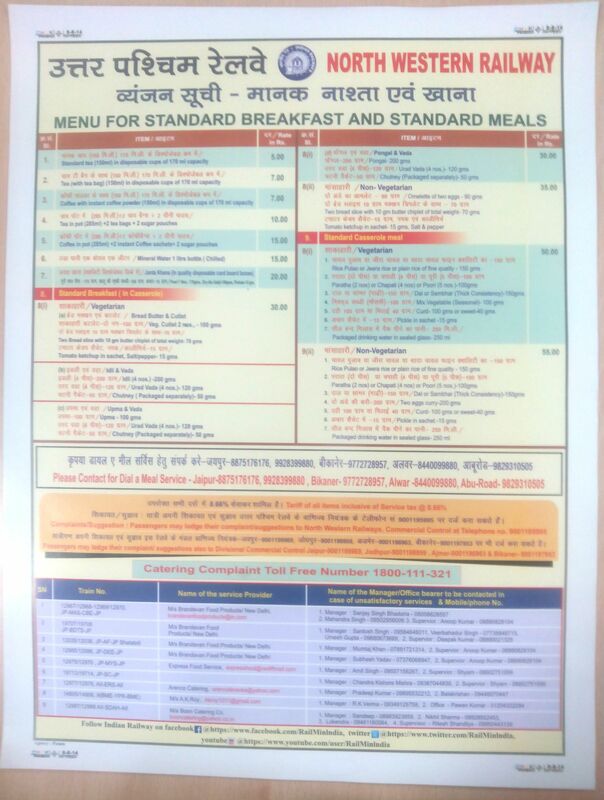 Revised Tariff for Tea Coffee Breakfast and standard meals. Supply of 500ml/1000 ml packaged drinking water (PDW) bottle in Shatabdi trains. Taking over of the management of book stalls from IRCTC by Zonal Railway.